Did you ever read Hoot? It was a Newbery Award winner awhile back. It is about a boy who was upset over burrowing owl homes being destroyed to build something. I read that book, because it was about owls, and I love owls. 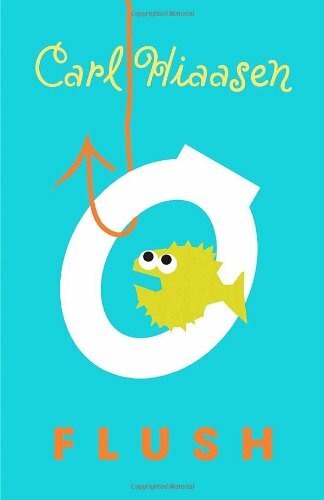 After reading Flush and then looking up Hiaasen’s other books, I realized he writes about conservation and being environmentally aware. It is a great way to appeal to and inform our youth, because they are more likely to learn from a book or watch a movie (Hoot was made into a movie) than to listen to a teacher talking about it. I am glad someone is using interesting literature to educate our children in this way. Flush is about a casino boat that is dumping its waste into the marina. The waste then pollutes the beaches and surrounding waters, choking wildlife and making it unsafe for children to swim in the water. This takes place in the Florida Keys, where there are manatees, sharks, loggerhead turtles, fish, and numerous other sea creatures. Noah is a sixth grade boy whose dad is adamant about shutting down this casino boat for the sake of the environment, to the point of sinking it and getting himself thrown into jail. Noah then decides to take matters into his own hands and find a way for the authorities to see that the boat is in fact guilty, and his dad isn’t just crazy or making it up. What I liked about this book wasn’t just that it raises awareness of pollution and the consequences of dumping, but it also very vividly describes the Florida Keys. I want to now go and visit. The talk of mangroves, the green flash at sunset, and numerous fish and wildlife made Florida seem like an appealing place to vacation, as long as there are no casino boats flushing their toilets into the ocean. What I didn’t like about this book was that it had some slow parts. It was overall a good book, but there were times where I put it down and didn’t want to pick it up right away. I decided that it had been long enough, and I just picked it up and finished it in one sitting. It was also a bit predictable, although that can also be a good thing for young readers. 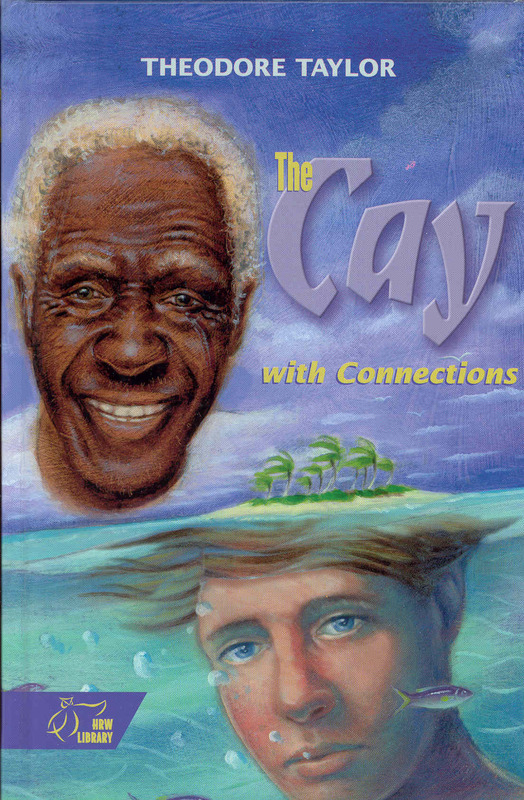 The Cay is our necessary reading for sixth grade, the only book we are mandated to read. I was a bit cynical, despite the feedback I’d been given by previous sixth grade teachers. The book was published in 1969, making it a full 10 years older than me, and my students generally don’t read books older than themselves (with a few exceptions). I am happy to say that it didn’t disappoint. Philip is an American boy growing up on a Dutch island in the Caribbean during World War II. His mother decides that due to the dangers of the German U-boats, she and Philip would return to Virginia while his father remained on the island. Their boat is hit by a torpedo and Philip finds himself on a raft with an old black man, Timothy. Timothy is from the West Indies and calls Philip “young bahs” (young boss) since Philip is white. Philip assumes his role as a white man and treats Timothy disrespectfully, as he was taught that the black men were beneath the white men. He quickly has to change his attitude, since he is at the mercy of Timothy. Timothy takes care of Philip and we see a change in attitude, Philip learning the hard way that Timothy deserves to be treated with respect and courtesy. I won’t spoil the ending, but it is definitely worth the read. What I liked about this book was that it demonstrated the ability of a person to change. Philip had been taught that he was superior to the black men on the island (and maybe in general? ), and Timothy proved himself to be worthy of respect. Philip showed him the dignity he deserved after realizing this. What I didn’t like about this book was the blatant racism that was shown. I wanted to hold Philip’s head under water. But I realize that it was good character development- if he didn’t behave so abominably early on, we wouldn’t have seen such a dramatic change in character. It is also good for students to see this so they can realize how wrong it is. This is the story of a girl named Madeline and the kidnapping of her hippie parents, Flo and Mildred. Madeline is a responsible, intelligent young girl who wants to be normal, but her hippie parents live in a commune and do not respect modern day society and their focus on education and Prince Charles. Madeline comes home to find her parents had been kidnapped by some wicked foxes, who wanted the address to her Uncle Runyon’s house, hoping he could translate a rabbit recipe for their new factory that will make rabbit by-products. Madeline enlists the help of some rabbit friends, and they go one an adventure to rescue her parents and get her to the school in time to meet Prince Charles at her graduation ceremony. What I liked about this book was that it had a lot of smart-alecky jokes. As you know, I love smart dialogue. 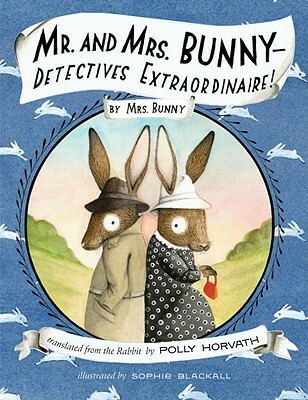 Mr. and Mrs. Bunny are constantly bickering, which is humorous, and they have quick and snarky comebacks for each other, without being inappropriate. Their marriage is actually quite realistic! Though they argue, they have a deep love for each other, and a love for Madeline as their “pet” or adopted daughter. It is a funny, light-hearted, whimsical story, and it is no wonder it is a Parents’ Choice Award-winning book. What I didn’t like about this book was that it hold my attention. It just couldn’t get through it. Maybe if I’d been reading it to my children, I could have stayed engaged, but for some reason, it lost my attention half way through. I had to just buckle down and finish the second half this afternoon. I can see it as an animated film someday, and that would be lovely.